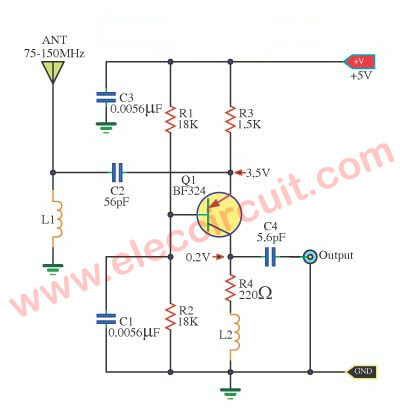 High-frequency amplifier circuit,Wide frequency band between 75-150 MHz,Using transistors, a PNP amplifier.To enhance the signal strength.Before the receiver of the phone. Or FM radio or amateur radio. If high-frequency signals, in particular, its VHF. 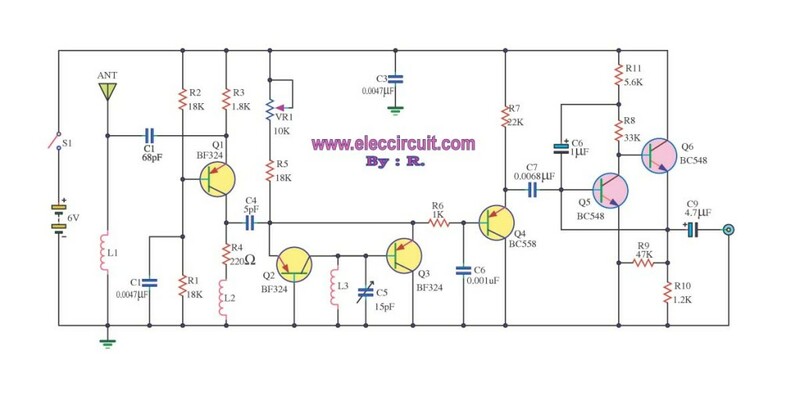 The booster circuit is one, serves to amplify the signal strength only.